Of course, web standards aren't always exactly, well, standard. HTML5 and WebGL support is no different, so we found out what you'd need to play the new version of Runescape 3. Unsurprisingly, the choice of browser is the key thing. 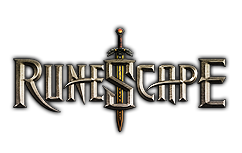 "Chrome has the best HTML5 support," said Phil Mansell, executive producer of Runescape. "On Firefox we've got a few bugs, which are close to being solved." At the moment, Internet Explorer doesn't support WebGL. However, early beta versions of IE11, which is due out with Windows 8.1 (Blue) does have WebGL, although how good its support is remains to be seen. Operating system support is also important. Mansell told us that Runescape 3 runs well under Windows and Mac OS using Chrome, but Linux WebGL support isn't as good. Finally, hardware support is vital for WebGL. Nvidia graphics cards offer the best support at the moment, with Jagex working on getting AMD hardware up to speed before the final launch. For older hardware that doesn't support WebGL, there's a legacy Java client still available.